I just had to share these amazing before and after photos. These are from two students currently taking my online class Organize Your Closet. I’m totally inspired, so I just had to share. First up is Emily, who even put together a digital scrapbook layout about her closet organizing project. Among the things I love about Emily’s project is her creative use of containers. Emily has a very deep closet, and things were getting lost in the back. So, I made a few container suggestions in the online forum, and Emily ran with it. 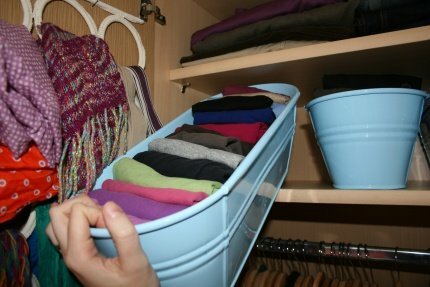 She decided to use cute, blue window boxes to house her t-shirts and put that deep closet space to functional use! If that’s not creative organizing, then what is? Love it! Is that not to die for? What a creative use of space! 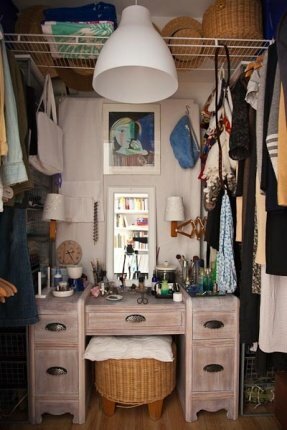 I think the only downside is that I would never want to leave my closet if it looked like that! 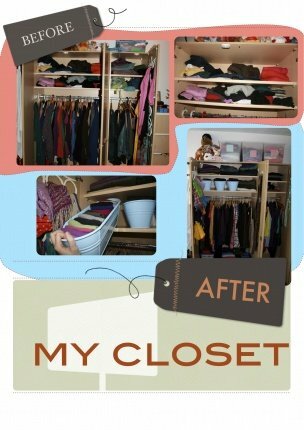 Check out more inspiring after photos on Gosia’s blog. LOVE IT! Please come organize my closet! 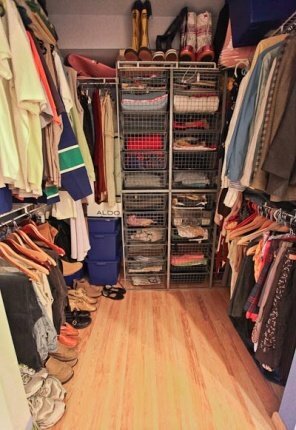 Just kidding – my husband tells me “you are supposed to be able to walk into a walk-in closet” – OUCH! You’ve inspired me.